Two men stroll through a park in Copenhagen in September 1941. Both are renowned physicists and Nobel Laureates, and they have also been close friends for many years. But now they find themselves on opposing sides: Werner Heisenberg is a leading scientist of Germany’s Uranium project, and Niels Bohr, his fatherly friend and mentor, is facing many difficulties in a Denmark that is occupied by German forces. Fifteen years earlier, both had formulated the basics of quantum mechanics together. On this fine September day, they went outside to make spying on their conversation more difficult – Niels Bohr knows that he is spied on, the Nazi authorities mistrust his political attitudes as much as his background, his mother came from a Jewish family. Every sentence with political implications, or every secret revealed, could not only harm Bohr but would also be reported back to Berlin and could seriously affect Heisenberg. But what have these two giants of physics discussed in the Copenhagen park? Historians still have heated debates on this subject 75 years later, because this discussion was not recorded in writing. For many years, a letter from Heisenberg to the author Robert Jungk ten years later was considered the best source. 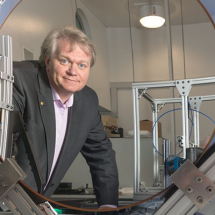 Jungk had interviewed leading physicists about their role in the world war, parts of Heisenberg’s letter were published in Jungk’s book “Brighter than a Thousand Suns: A Personal History of the Atomic Scientists”. In this letter, Heisenberg explains how he wanted to convince nuclear scientists on both warring sides to stall the development of an atomic bomb. He suggests that they should argue with technical and fincancial difficulties – and that an atomic bomb would be an impossible endeavour in the immediate future. 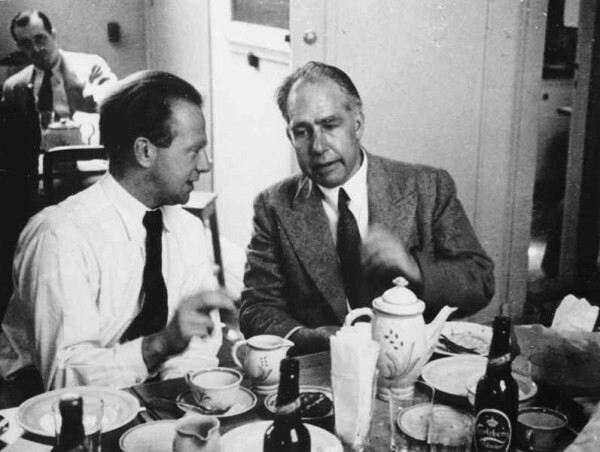 Niels Bohr has always contradicted Heisenberg’s version of their meeting. According to Heisenberg, Bohr had first been quiet when he talked to him, later he was aghast and left the meeting hurriedly. Heisenberg himself concedes that he “tried to keep the conversation at a level of allusions that would not immediately endanger my life” – he would have been accused of high treason at home, had the true content of this conversation become known. So if there was indeed a subtle suggestion on Heisenberg’s part that both sides should stop pursuing the development of atomic bombs, then Bohr didn’t understand it. This mysterious conversation inspired the British playwright Michael Frayn to his play “Copenhagen”, that was first performed in 1998 in London an premiered on Boradway two years later. This play triggered another round of academic debates on the mysterious meeting in 1941. As a reaction to this new debate, Bohr’s family published several unsent letters from Bohr to Heisenberg in 2002. In these letters, Bohr tells a different story: during Heisenberg’s entire visit, he had felt that the younger man was boasting not only about Germany’s upcoming victory, but also about his ability to build an atomic bomb in the near future. Understandably, this shocked and frightened Bohr. How can we try to make sense of this contradiction today? First, we cannot ignore the time and circumstances: Denmark had been occupied by German forces for 18 months, the Netherlands, Belgium and France had been occupied for about the same time. Only three months prior to the Copenhagen meeting, the German Wehrmacht had even invaded the powerful Soviet Union – Hitler’s forces seemed unstoppable. In Copenhagen, Bohr found himself in a dangerous position: mistrusted and spied upon. But there could be other, all too human motives as well: a former student, in this case Heisenberg, enjoys boasting in front of his former teacher. At the same time, this boasting could be used as a protective shield for his true intentions, at least if we believe Heisenberg. But apparently, Bohr could not distinguish between propaganda and hidden messages: if there were any, they were too well hidden. The newly published Bohr letters started another round of historical debate. Martin Heisenberg, one of Heisenberg’s sons and a leading neurobiologist, says that we should judge his father by the political outcome. After all, he had been able to convince Albert Speer, Hitler’s armaments minister, that a German atomic bomb was not feasible in the next few years. After a meeting between Heisenberg and Speer in June 1942, the German uranium project was downgraded. At the end of his play, Frayn even implies that this misunderstanding, or whatever it was, might have been for the benefit of mankind: if these two giants had discussed the feasibility of an atomic bomb in great detail, some omissions or misconceptions on Heisenberg’s part might have been resolved – and a massive German atomic bomb project might have become more likely. 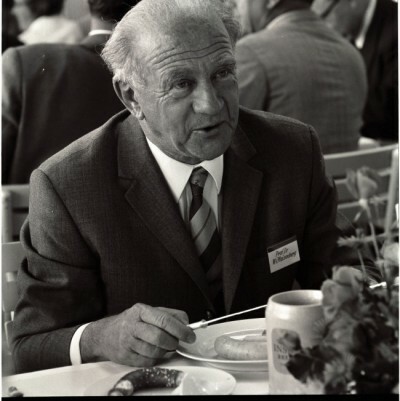 After the Second World War, Heisenberg became one of the leading researchers to rebuild the German scientific landscape: he became director of the Max Planck Institute for Physics, today’s Werner Heisenberg Institute, and he enjoyed participating in political debates, for instance as a government advisor for science policy. 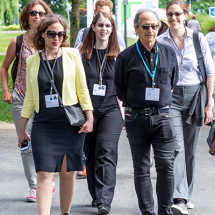 He participated in 15 Lindau Nobel Laureate Meetings and gave eight lectures. In September 1943, two years after their fateful meeting, Niels Bohr fled to Sweden to avoid his imminent arrest. In Sweden, he appealed to the Swedish king to grant political asylum to all Danish Jews, and thus contributed to the spectacular escape of most Jews from Denmark to Sweden in October 1943. 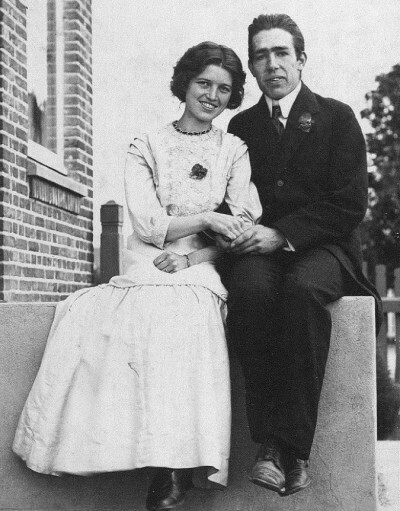 By then, Bohr was already travelling the US, visiting not only Albert Einstein in Princeton, but consulting the physicists of the Manhattan project in Los Alamos. Although not a formal member of the research team, he gave advice on several visits during the last two years of the war. In 1945, Bohr returned to Copenhagen and was again director of his institute. He remained friends with Heisenberg, at least they kept exchanging birthday greetings and the families visited each other on several occasions. Bohr gave his first and only lecture at the Lindau Meetings in 1962, and unfortunately suffered a minor stroke afterwards. He died of heart failure the same November. Heisenberg survived him by more than 13 years.